My birthday was in September... but on Tuesday, I went back into the classroom and received the above painting as a belated birthday present from one of my students. 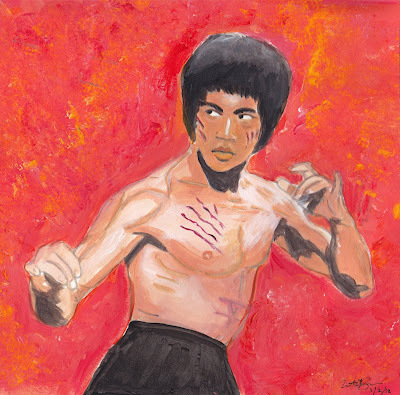 It's a one of a kind acrylic/water color painting of Mr. Bruce Lee. Pretty awesome, right? I won't disclose her identity, but she's a seventh grade student who has been drawing since she was three years old and currently sells these works of art for $5 each. Ironically, I discovered her talent back in August, when I caught her drawing in my class. She showed me her portfolio and I was blown away by her paintings and sketches of: Michael Jackson, 2-Pac, and Fred Astaire. I asked her if she'd sell me one, but she insisted on painting a custom piece for my birthday... all I had to do was decide on which subject I wanted. 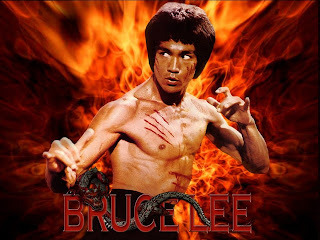 It took a few months, but I finally decided on Bruce Lee, who has been a personal icon of pure "awesomeness" since I first watched his movies as a kid. 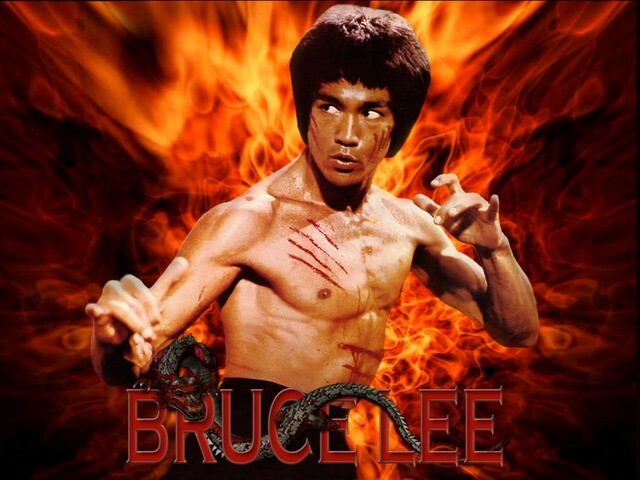 It's from his 1973 classic and one of my favorite films, Enter The Dragon. Sadly, Lee passed away at the age of thirty-two on July 20th, 1973... just six days prior to the release of this film in Hong Kong. Thankfully, his legacy will live on forever in his films, dojos, and of course peoples' memories. And if you're really cool, you can be more specific and tell everyone your favorite movie featuring "martial arts". I hope all of you had a great week... I can't believe tomorrow is already Friday. Stay positive & sayonara! 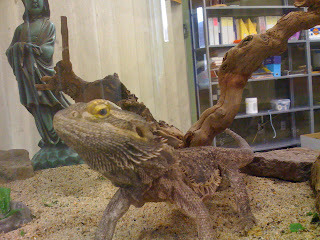 Oh... and I almost forgot... a few years ago, a friend of mine donated her bearded dragon to my class. In honor of Mr. Lee, I named him "Bruce". Bruce was my classroom pet for four years. Unfortunately, I don't own him anymore. My new principal wouldn't let me bring him with me to the middle school level, so I found a nice home for him with a student's family.